Harv had his first x-rays taken in March -- recall that he went lame on the LF this spring. I reported on his progress and return to soundness, but I never shared the x-rays because I lost the disk. Well, I found the disk, so I'll share a few items of interest. 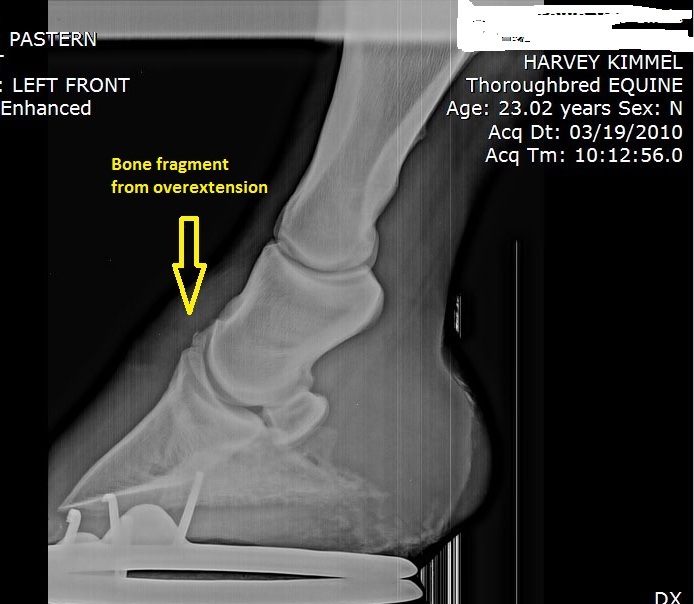 If you click to enlarge the image and follow the yellow arrow below you'll see a tiny bone fragment between the pedal bone (P3) and the short pastern bone (P2). The vet told me that this is often caused by hyperextension of that joint, causing the top portion of the pedal bone to chip off. This strikes me as just the kind of injury you'd see in a racehorse or ex-racehorse, and apparently it's pretty common. It may or may not cause lameness. In Harv's case, the nerve blocks didn't show that area as a problem. Harv's probably lived with it for awhile. It's what they call an incidental finding -- no clinical relevance. Thank you so much for sharing all of this with us. I appreciate the way you share thing with us. Really, this is my favorite blog. Very interesting x-rays. You'd think a bone chip would be a problem, but apparently not. Interesting. 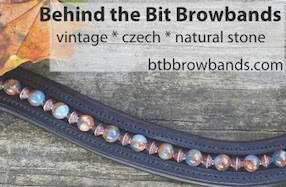 Thank you for featuring my blog Stacey! Okay, you're three months late and I still don't know what's up with Harv's rads! I saw the bone chip, but that x-ray looked good for a horse that is "23.03" years old.